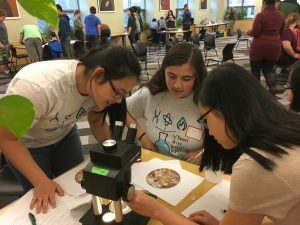 In the last installment before the summer, teens at VTeen 4-H Science Pathways Café learned about microplastics and the toll they take on our environment. 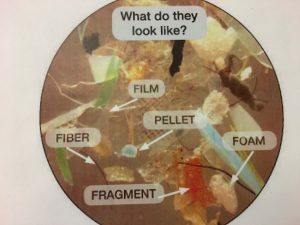 Microplastics may be small, but they are causing big problems for our environment and our health. These tiny pieces of plastic used in personal care products and synthetic material clothing are designed to go down the drain to where we never see them again. But afterwards, they flow into our lakes, rivers, and oceans — by the billions every day. These microplastics adsorb toxins in the water, are eaten by marine life, and can make their way up the food chain, eventually they can make it all the way to our dinner plates. 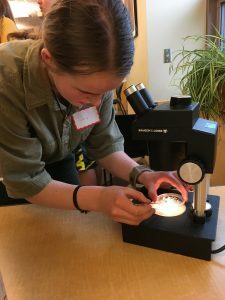 Participants learned about current research happening on Lake Champlain and got to use a dissecting microscope to look at and sort microplastic found in the lake.